Sandhill Crane feather - Platte River Valley, Nebraska. 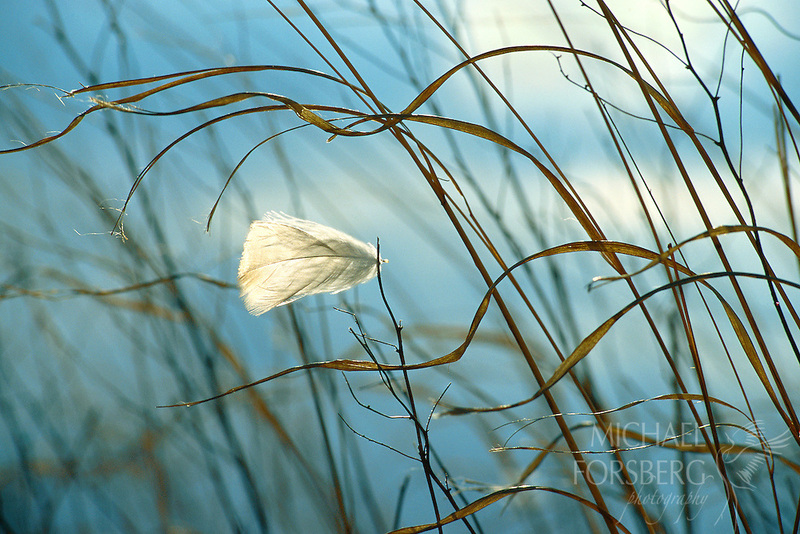 On a blustery April evening, a sandhill crane feather blows in the wind, caught in the coarse strands of threadlike prairie grass in a Platte River wet meadow. Each spring, crane feathers provide visual clues to where large concentrations of migrating cranes linger within this vast prairie river system. Once these birds depart to continue their northward migration, the feathers they leave behind serve as a reminder of their passing, and a promise of their return.